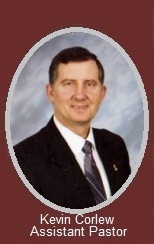 Pastor Jones came to Ashtabula in the spring of 1990. 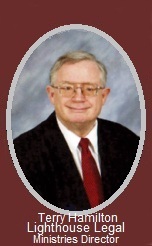 Originally from Louisville, KY, and a graduate of Tennessee Temple University (under the ministry of Dr. Lee Roberson), Pastor Jones has had opportunities to serve as pastor in Georgia, and assistant pastor in West Virginia. God has tremendously blessed both his Godly preaching and teaching as he faithfully, Biblically, leads the work of reaching those in Ashtabula and its surrounding area! He can be reached at pastorjones@lighthousebaptistministries.org. 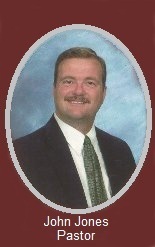 Attorney Terry Hamilton is Director of Lighthouse Legal Ministries (LLM), which is dedicated to defending Bible-believing, independent, Baptist churches at little or no cost to them. An active and faithful member since 1990, Attorney Hamilton has been on staff since 1993, and continues to help hundreds of churches and pastors around the country. He can be reached at attorneyhamilton@lighthousebaptistministries.org. 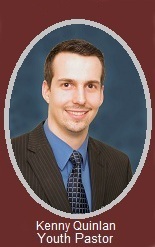 Jim Robideau is the newest addition to the LLM staff. He served as the General Counsel at the Illinois Department of Veterans' Affairs. A former prosecutor, Jim has a broad range of experience in financial, legislative, and tax issues, and is a certified mediator. Jim retired from the United States Army in 2012. An aviator and artillery officer, Jim served two tours in Afghanistan and received the Bronze Star Medal and Combat Action Badge for his combat service. 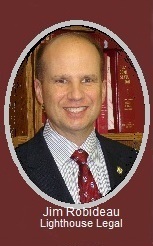 Jim received his Juris Doctor degree from the Northern Illinois University College of Law. He holds undergraduate degrees from the University of Florida and Landmark Baptist College, and completed the Mises University general course in Economics. He can be reached at jrobideau@lighthousebaptistministries.org.